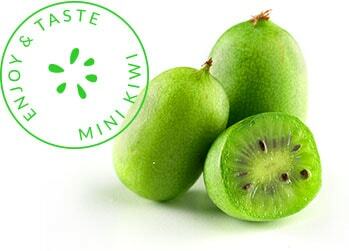 Mini Kiwi is a berry that weights only few to several grams. 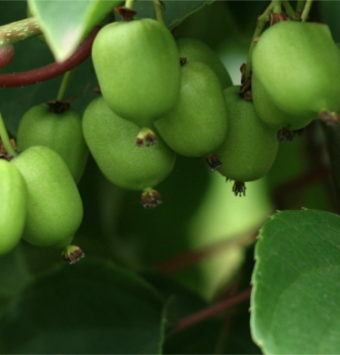 They are compared to size of the dessert grapes and smaller than popular and well known in market fuzzy kiwi. They are covered with edible, soft and smooth skin. 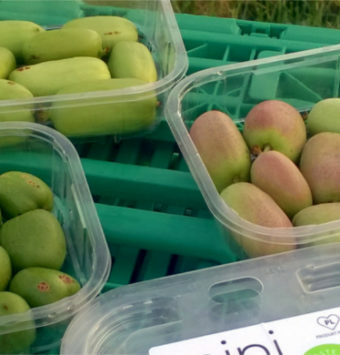 These advantages make they could be eaten without peeling straight out of the box. 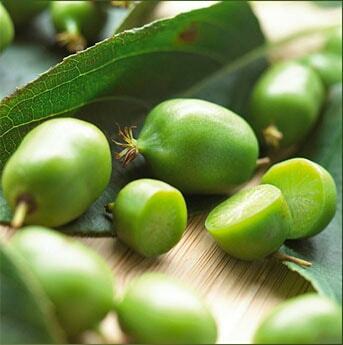 MiniKiwi Farm Sp. z o.o. © Minikiwi Farm Sp. z o.o.